The sure-footed mountain goats prefer to live well above the timberline on steep mountains and hills, but Vinnie prefers to live safely inside on your walls where everyone who passes by can reach up and give him a little pat. 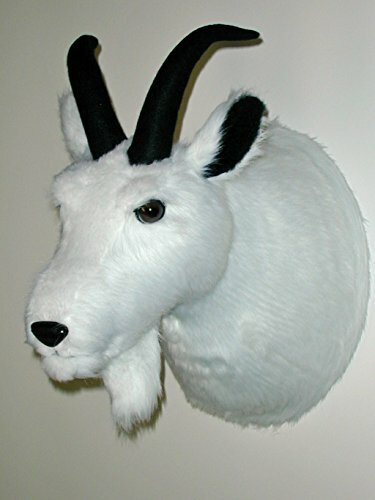 He is striking to look at with his long white plush fur, 30mm glass eyes and 9" curved black horns. Ready to hang. Firmly stuffed with non-allergenic polyfill.